When it comes to home ownership, times really have changed. No longer are people expecting to own a home as soon as they finish their studies, as a shortage of housing and the rising costs of buying are making it a near impossible job for many. This means that, while some still plan to buy, a fair few don’t. A generational change in attitudes may also be contributing to this shift in housing ownership norms. Jobs that require flexibility and movement may well be shaping new workers into renters. So, it seems the BTR system is likely to continue to make the most of this current shift in trends – as is BTR gym design. In simple terms, it’s new housing developments where all the properties are built exclusively to rent. Build-To-Rent (BTR), which forms a part of the Private Rented Sector (PRS), is fast-growing and increasing in popularity due to changing attitudes to buying and renting, housing costs, job influences and much more. The average age of a UK first-time home owner is between 25 and 35, and this type of person is often a young professional in need of a comfortable and affordable place to stay – for a secure amount of time. People who fall in that bracket, alongside students and downsizers, will be more than happy to live in BTR housing. Why the rise in BTR in the UK? 16.5% of all UK households currently rent, and it’s estimated that an extra 1.8 million will be renting in the PRS by 2025. Demand has been on the up in recent years, with a housing shortage forcing people to look for alternative options. An estimated 240,000 new houses are needed per year to cater for demand. 16.5% of all UK households currently rent, and it’s estimated that an extra 1.8 million will be renting in the PRS by 2025. BTR provides investors with a steady income of which demand is unlikely to diminish, meaning BTR is looking likely to grow. Housing supply is falling in the UK and, with property levels decreasing, the demand for rented housing is growing. All in all, it’s become harder and more expensive to buy, turning people to renting. While some people who don’t own a property may still want to one day get onto the property ladder, many are happy to rent – and even choose to as a way of life. 75% of workers are prepared to relocate for work, which is a sign of how flexibility is now crucial in many people’s lives. In this case, owning a property is far from desirable. Studies reveal that 25% of 16 to 34-year-olds aim to have 12 jobs in their career, a statistic that again suggests that being able to freely move from property to property is in fact a need for many. For a lot of people now, renting isn’t a temporary solution and they don’t necessarily have plans to buy in the future. Where are the UK BTR hot spots? London and other major cities and urban areas in the UK are go-to locations for many companies and businesses. This makes them great areas to live in for work-related reasons, resulting in a high demand for housing. BTR accommodates this need for places to live and offers practical housing in central locations. Locations with strong employment rates and low land values guarantee return on investment. Developments with either single or multiple buildings, at medium or high density in London and other areas, tend to be successful – with local transport within walking distance contributing to this. Developers now place a lot of value in building high-quality leisure spaces and communal areas that can add great value to properties. Areas for social interaction and leisurely activities, such as gyms and workout space, are now seen as important investments and are carefully managed. Developers now place a lot of value in building high-quality leisure spaces and communal areas that can add great value to properties. The 2018 LSL Property Services Tenant Survey states: “An onsite gym is especially popular with Younger Independents (69%) [aged 18-24] who already have a regular gym or fitness commitment. 57% of Flexible Professionals [aged 25-44] would also pay for an onsite gym”. This suggests that demand is indeed high for exercising facilities. For the right price at the desired location, renting a property can work out to be a logical, flexible and completely realistic target for those in need of housing. 20 million currently privately rent in the UK, and that figure’s likely to rise significantly over the next ten years. The added bonuses of BTR housing can also add to the attraction. Developers are often landlords, and living can be simple and easy. 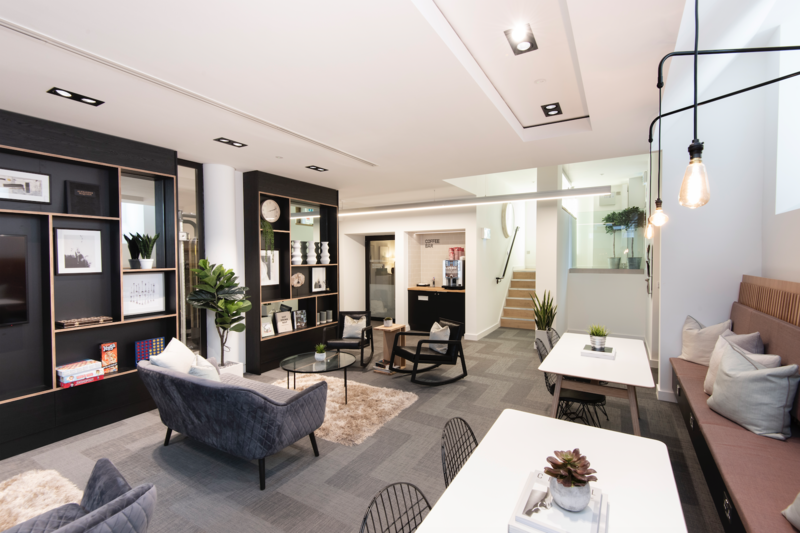 Communal lounges, rooftop terraces, gyms and workspaces on location help to create a community feel and a sense of value too. Altogether, this adds to the flexibility and secureness that the BTR offers its tenants. The communal spaces and services, as previously mentioned, are part of the extended home of tenants. This means quality and value is added to the housing, and the level of maintenance of these facilities can really play a part in the overall success of BTR. For young professionals, these features are highly desirable. A contemporary lifestyle environment is what makes BTR housing stand out, appealing to the 25-35 year olds targeted. Bringing people together, and adding value to a rented property, will in the long run help people to enjoy their time better and to continue renting there for a longer period of time. BTR has been around for a while now so many people are aware of it, but it continues to impact upon how motive8 operates. 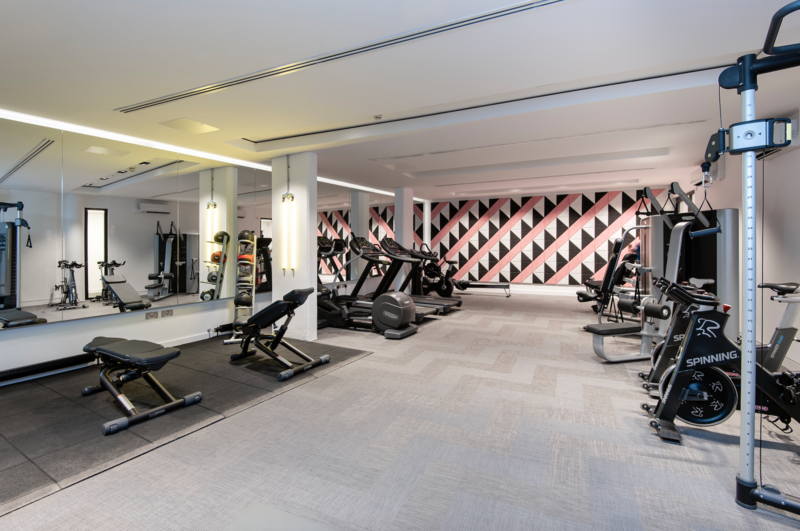 Gym & Spa Consultant at motive8, Rob Clarke, says: “We have seen a significant shift in spend and allocated space for amenities in the new build market in the last three years.